We joined and used this service just so we could share our Score Matters review with you, we used all their tools and features plus we even assessed their customer service. This credit report service has an artillery of reporting tools that could help you improve your credit score. Not only can you get a free credit score check with their ten-day trial but they have ways to protect you from Dark Web theft, block trackers and potential harm online when surfing the web and other ways to provide a thorough score. Once you have signed up you will be able to see who’s been tracking you and how vulnerable your identity is, these experts talk you through it and even if you have no experience or understanding of this process, they will fill you in with al the details. You can enjoy a full, detailed report at Scores Matter, so why not try it out today? How Often is their Data Updated? Like many of these websites, it’s very easy to sign-up. In-fact it’s the first thing you see when landing on their page, but the great thing is, you can join their free ten-day trial. This means you’re eligible for a free credit report and if you like their service you can keep it running as they constantly update your score and ways you can improve it. You can find more details on other services such as My Credit Monitor by taking a look at our other reviews. It really is that easy and you will also be privy to their other features too, so use their free trial but do bear in mind that you will need to input your payment details and if you exceed the trial period you will then pay £19.95 per month. This shouldn’t be an issue as we explain why it’s worth the money to continue this rolling contract. You’d be foolish to think this is the only option when it comes to getting a UK credit report, there’s so many websites out there that offer this service and we have reviewed many of the most recognised ones. But they all seem to cover different ground- this is a positive thing because it means we can pick the service that most suits our needs. See our UK Credit Ratings review for more details on another good brand. Score Matters have access to some very large databases and a lot of other information meaning that they can offer a lot of depth to their service especially when it comes to technology and fraud prevention. So what do you get? You’ll obviously receive the credit report but it also comes with helpful advice and other features too. Overall their report is somewhat to the point but there’s some great advice in there and they’re always at the other end of the phone, ready to take your call. A number of things can affect your credit score in the UK. Their team tackle this question in the FAQs, just highlighting the things that directly affect your score and also three categories of information that your report will include, as it comes with account information, address details and financial connections. Payment History – This includes mortgages, loans, credit cards, phone contracts and more. If you have these and have paid on-time it will go some way to helping you rack up a positive score, if you have had late payments then it will be detrimental as will negative finance such as bankruptcies. Amount Owed – If you owe a lot of money out as it stands then it goes without saying that it’s hard for lenders to consider you. This comes down to your credit limits and how much you owe out. Score Matters can help you calculate this and even break it down. 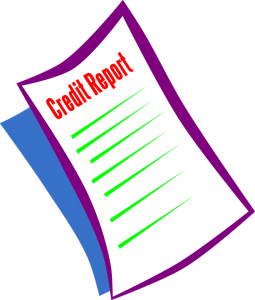 Read our credit report guide and advice here. Duration – The duration that you have had credit makes a difference to your score, this is why it is beneficial to get credit as soon as you can and ensure regular, on-time payments. Recent Credit – Recent credit or rejected credit will show up and directly affect your rating. Other – They highlight how other aspects are taken into account and believe it or not, many customers like ourselves easily overlook them and that’s why it’s vital to have experts in your corner. The industry is gradually getting more and more complex and harder for a run of the mill user to understand, why’s this? Well- it seems to be down to technology and the shift in how we apply for loans, credit cards and pay for other things. You’ve guessed it, the common denominator in all these areas, is the Internet, our online activity is now playing a part in whether lenders will allow us credit. This includes social media, browsing and more, it seems rather intrusive doesn’t it and that’s why we were so keen to report back on Scores Matter. Scores Matter seem to have fully functional software that can not only conclude our report accurately but also play their part in deterring fraud. They protect your identity and also have the browser tracker analysis sure to help you understand what activities could make a difference to lender, this is an area we felt was very insightful and was something we hadn’t received at most other websites. There are some cases were customers like yourself feel unjustly rejected, if you feel that your score was inaccurate then you can appeal. With that said, you should make sure that you have grounds for appeal, Score Matters ask you to contact the lender first and they may accept that it is inaccurate. If your score or amount owed could have been correct within the last four to six weeks, then there’s no reason to contact them as it can take this long to update. If your lender is claiming that they are correct, it could be worth contacting Scores Matter and asking their team to help you with a dispute and file correction. It’s usually the same for each and every customer, it should never take longer than 12 weeks and in most cases no longer than six weeks. Your data will be updated every four to six weeks. This has elements of the service that expand further than most people’s knowledge but despite this they talk you through the process and make it easy to understand. They actually enlighten you and bring to your attention the other factors that may be decreasing your chances of credit. It is very easy to use and the reports don’t overdo it, they remain simple whilst providing a thorough and accurate report with numerous intricacies. This is a must when utilising this type of business and they stress how meticulous they are when dealing with sensitive data. They are certified and don’t allow employees unlimited access to your files, meaning they can only take a look at financial history and other personal detail when they need to. They also ensure strong passwords, a two-factor authentication and SSL to keep you safe and protected. This means your account is completely safe on all fronts and it’s not hard to maintain your profile with Scores Matter. Another good one to try out would be our review of Equifax which gives you all the details about their service. It’s a completely safe website that take many precautions on both your username, password and e-mails as well as securing you from fraud on your credit along the way. You get a free ten-day trial but once this has passed they will start taking £19.95 a month for the complete programme. You will get all the services and features reported to you and you can also call upon them for help with disputes or understanding elements of finance that you have no clue about. It’s a service that’s well worth it and overall we were very pleased. Existing members can get help and support by calling their contact number on 0808-189-3005. You can also post a letter to: Scores Matter, IMT Technologies Limited, 3rd Floor, 207 Regent Street, London, W1B 3HH, England. Scores Matter is a trading name of IMT Technologies Limited, which is not a credit reference agency or debt advisor. IMT Technologies Ltd is a credit broker (not a lender). The loans that are offered depend on the lenders own acceptance requirements. IMT is a company registered in England and Wales. The office is registered at 3rd Floor, 207 Regent Street London, W1B 3HH. They operate on a membership programmes that allows users to gain access to various tools. Users can gain credit reports by Callcredit Consumer Limited and more. IMT is authorised and regulated by the Financial Conduct Authority and holds permission for credit information services. It is easy to opt out of Scores Matter. Simply visit the site, scroll to the bottom and click ‘Opt Out’. You then need to put in your email and you can then start the cancellation process. They’re lacking a strong social media profile- it works well but isn’t on the same level that we’ve seen elsewhere. Credit Angel has a much stronger social media presence, which may draw in more people. With that said, not every service features this and it should not be expected. But with the high-spec level of analysis this company brings, it seems odd that it’s missing. With that said, this is an ideal way of using all the latest tools and technology for a thorough check and credit report without any complications. They combine the best technology and simplicity. We definitely recommend this service, and it’s features such as Browser Tracker Analysis and Dark Web Protection are ones that are rarely seen elsewhere. They highlight why they are so important and once you receive them you won’t want to go back to the plain old credit score check. They get a big yes from us as this service seems to be the real deal! Scores Matter is a great site to use if you are hoping to find out your credit score.